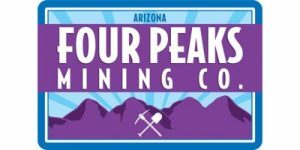 We are pleased to announce the opening of the Four Peaks Mining Company store located in the OdySea in the Desert entertainment complex in Scottsdale, AZ. If you have a passion for minerals and gemstones, our store is a must-see for you. We have an amazing collection of mineral specimens, loose gemstones and beautiful jewelry. 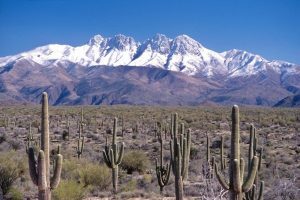 Our signature gemstone, the Arizona Amethyst, is mined on the western slopes of the Four Peaks of the Mazatzal Mountain Range here in Arizona. This mine has been worked since the 1920’s and the finest quality stones are sought-after worldwide by collectors. In addition to our vast selection of merchandise, we also provide a mine experience for young and old. You can walk through our replicated mine shaft and see a variety of minerals on display in a mine setting. Our Rock Hunt provides a fun-filled educational activity for children. Four Peaks Mining Co. Store offers something for everyone. We are open Sunday to Saturday from 10am until 5pm. If you haven’t visited this complex yet, now is the time to come by. In addition to the OdySea Aquarium, Butterfly Wonderland and the Dolphinaris attractions, there is an interesting mix of restaurants, retail stores and arcades to enjoy. This complex is located at the northeast corner of Vía de Ventura and S.R. 101. We are located on the first level, directly across from the aquarium, so please stop by soon! We look forward to seeing all of you ROCK HUNTERS AND GEM LOVERS!